Disclaimer: I received complimentary products from the above mentioned sponsors in exchange for participating in this event. I’ve learned to stop making really involved and filling appetizers for Thanksgiving because no one eats breakfast but comes over early and fills up on those and then doesn’t eat dinner. 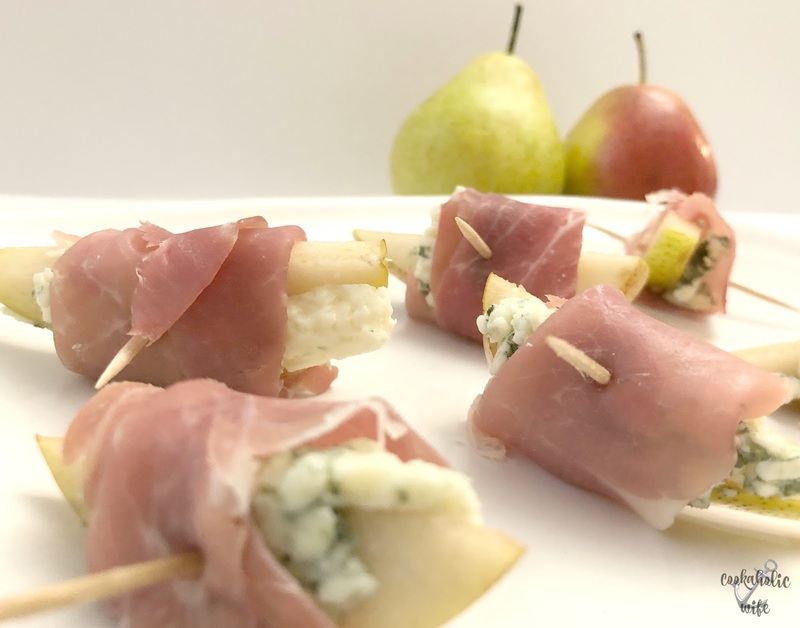 Since the dinner takes twice as long to make and is already the one meal I serve that takes a day of preparation and only ten minutes to eat, I’ve finally gotten it into my head that less is more when it comes to Thanksgiving appetizers. But wrapping prosciutto around a pear with a wedge of blue cheese inside? That’s amazing! Sweet, salty, earthy….these little bites are so amazing. 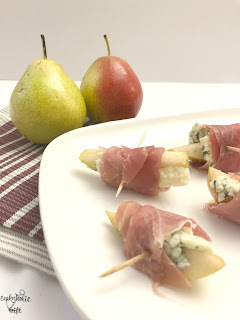 A super easy appetizer, blue cheese is wrapped up against a slice of pear with prosciutto. 1. 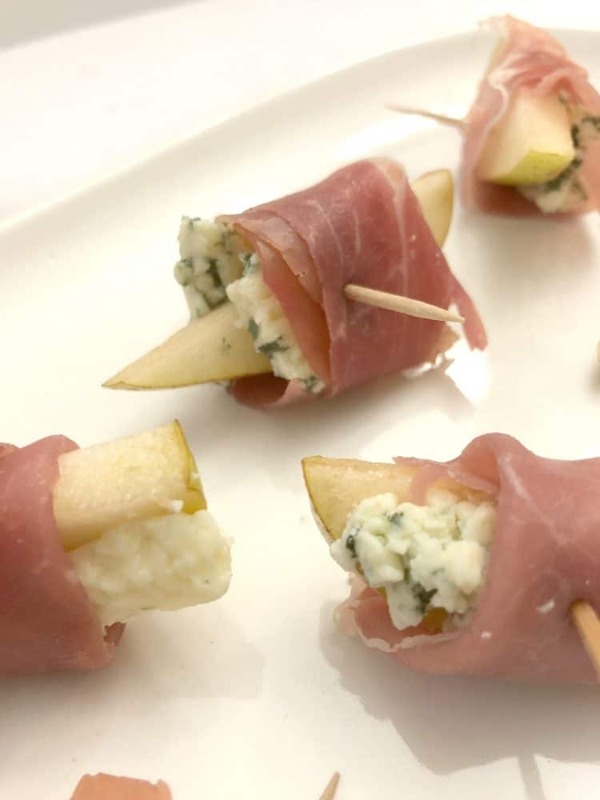 Cut slices of prosciutto into three strips, lengthwise. 2. 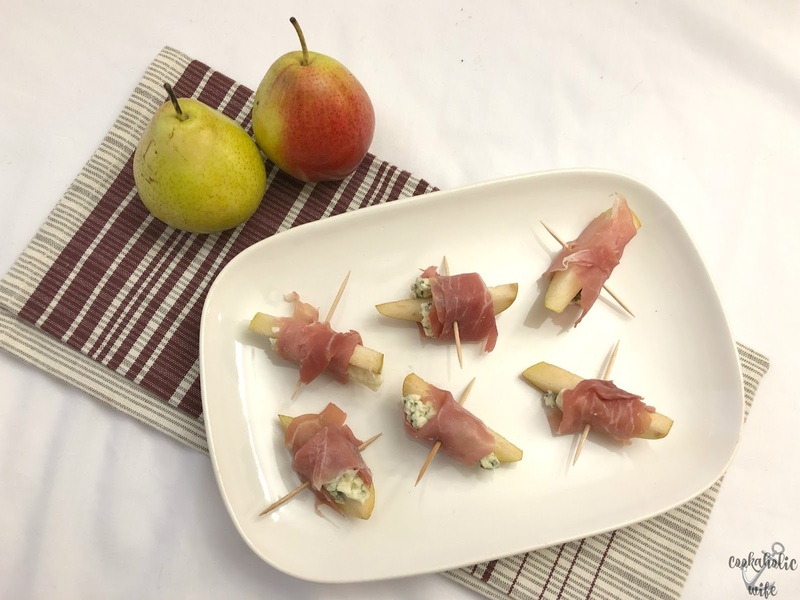 Place a slice of the blue cheese against the pear wedge. 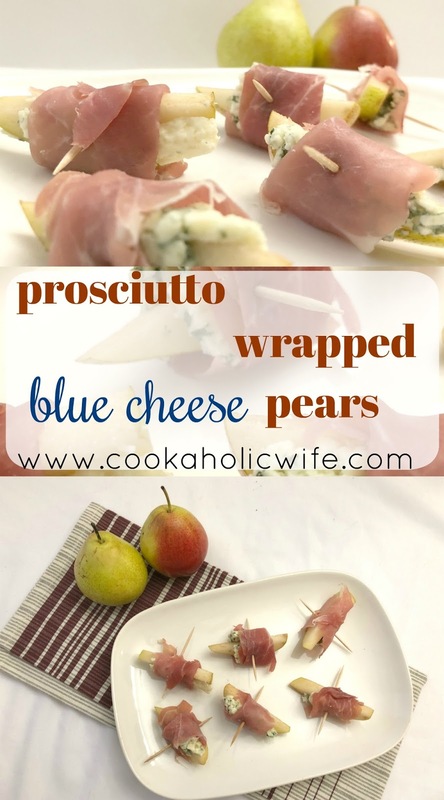 Wrap with the prosciutto and secure with a toothpick. Huge thanks to Melissa’s Produce for making this event possible by sending us bloggers so many amazing goodies. Aren’t those the most adorable little pears in the background? They were almost too cute for me to use! And another sponsor thanks, to Le Creuset for a great serving platter. Unfortunately the package handlers were a little too rough with my first one and it arrived broken, but Le Creuset got me another one out right away but I had already made this recipe and didn’t get to photograph these perfect bites on it, I am 100% using it when I serve these for Thanksgiving. Nichole, I think you are the queen of appetizers. I love this!! Oh, these are adorable! I love all those flavors together. Thanks for joining me. Love that this is a simple and flavorful dish.